Fed up with being hassled by courtiers in Versailles, Marie Antoinette built, safely within the grounds of the palace, a pastoral idyl, a farm called La Hameau de La Reine. Here she lived out a fashionable fantasy of the nobility of that time – to get back in touch with nature, and with simple things. She would dress in peasant clothing, and attend to peasant tasks, including milking the cows. However, this was far from a real farm. It was a tableau vivant. A contrived tapestry. A conjured scene where the real servants spent their time washing and cleaning the farmyard and the cows, so that there was a surgically sterile environment for Marie Antoinette to play out her fantasies. The cows would be walked up and down before she arrived, to clear them out of any bodily substances that would otherwise spoil the pleasures of the Queen, as she sat on her oak milkmaids stool, catching milk in the Manufacture Royale fine porcelain pot. 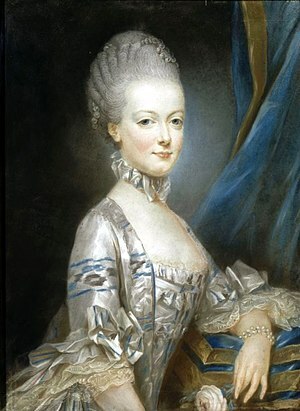 No doubt Marie Antoinette thought that she was communing with the peasants in one way or another, by doing this; but unfortunately for her, the peasants considered that her sterilised environment was a mockery of their lives, and they hated her even more for it. The addition of a Temple of Love did not help her cause, giving rise to wild rumours of orgies, and other derring-do! Whether or not the queen lost her head in the Hamleau, she certainly lost it on October 16th 1793, at the tender age of 37, ten years after the Hamleau was built. The first moral of this story is that ten years is a long time in politics. The second moral of the story seems to be that if you have lost touch with the people, the last thing you should do is sanitise their misery! I was reminded of Marie Antoinette this week when I found that the new aristocracy (in this case represented by the G8, meeting in Lough Erne) will not have to distress themselves looking at the squalor of recessionary buildings in Co. Fermanagh, as they whiz through on their way to the Five Star Resort and Golf Club. Thankfully they will not have to stop for a lamb chop or a rasher in the village of Belcoo, though they might be tempted to do so looking at the wonderous window display. But alas, like the Hamleau de la Reine, the village of Belcoo is a sham. The shop windows are false, the stocked shelves are a mere illusion, the prosperity and bon vivance is a fantasy. Thanks to the Northern Irish Government, the place has been covered in fake sticker-art, to make the village appear as happy as a fake French Hameau in the late 1780’s. The speeding nobility will probably have no more appreciation of the irony, than the ill-fated queen did.